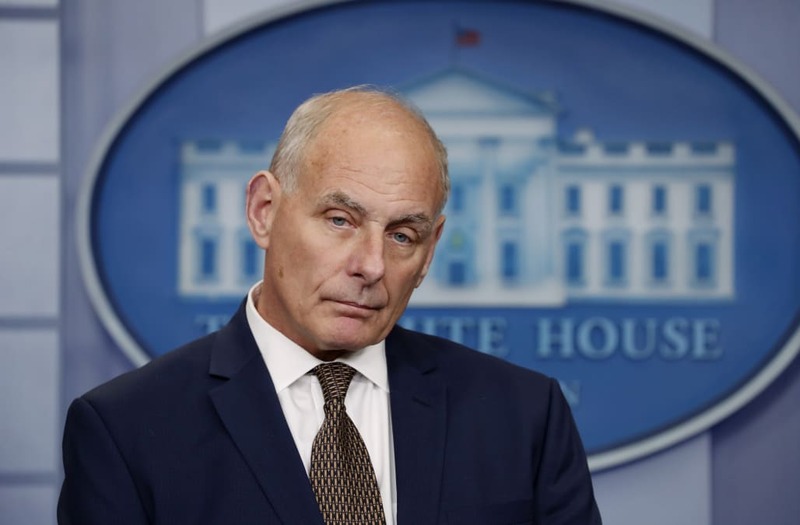 The White House has said President Trump’s chief of staff John Kelly likely feels “disgusted and frustrated” about the attention his late son Robert, a Marine killed in action, is receiving. During a press briefing Wednesday, press secretary Sarah Huckabee Sanders was asked if Kelly knew Trump would be mentioning his son’s death amid the ongoing controversy surrounding presidential outreach to Gold Star families. After mentioning that the two men had talked about it, Sanders was pressed about how Kelly felt about his child being discussed in that manner. “As far as other [presidents], I don’t know, I mean, you could ask General Kelly, did he get a call from Obama? I don’t know what Obama’s policy was," Trump said during the interview. His comment was made in defense of a controversial remark he had made the day before, criticizing the relative lack of calls his predecessors, including Obama, had made to Gold Star families. According to CNN, multiple officials have stated that the Kelly family did not receive a condolence call from Obama. However, the general and his wife were reportedly seated at Michelle Obama’s table during a White House event for fallen soldiers’ families in 2011. The chief of staff has not yet spoken out publicly about these exchanges involving his son; he has indicated in the past that he preferred to keep the matter private.